Hmong Minnesota: Yesterday and Today - Learn about Hmong History, the Hmong Diaspora Around the World, the Hmong Culture, the History of Hmong in Minnesota, Hmong Contributions to the State and the Diversity of the Hmong Minnesotan Community in a 21 panel exhibit produced in partnership with Museology Museum Services and Sieng Lee/Design Uake. 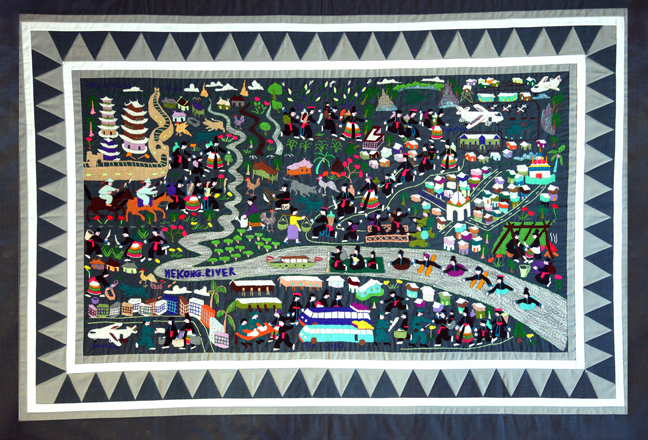 The Hmong Folk Arts Experience: Interactive Exhibit - Learn about key Hmong Folk Arts forms including the Qeej instrument and its role in the Hmong Funeral Ceremony, Hmong Wedding and Funeral Songs, the Ncas and Two-String Violin instruments, Hmong Sung Poetry as well as the Embroidery Tradition. 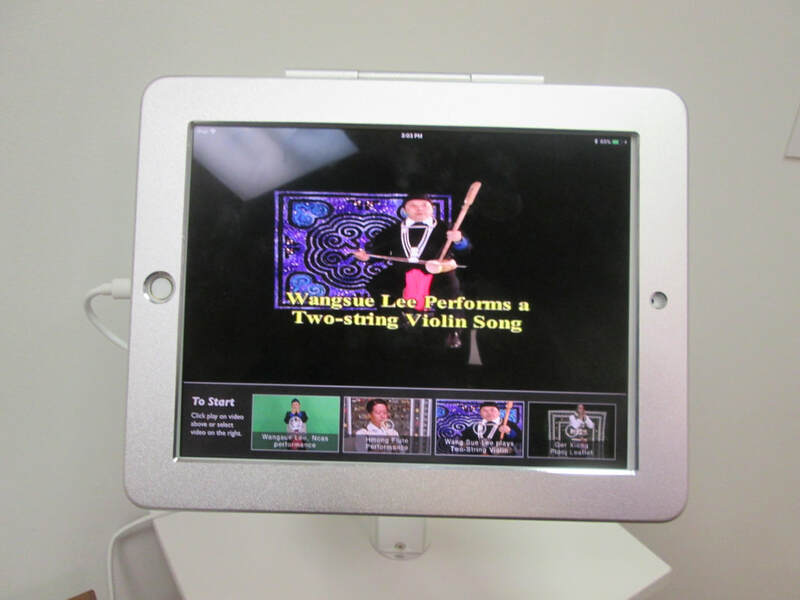 Visitors can hear and see all of these art forms through object displays, narrative display panels and interactive ipad stations! This exhibit was designed in partnership with Museology Museum Services and Design Uake/Sieng Lee. 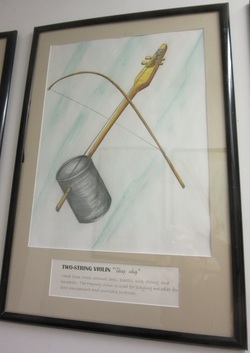 Hmong Cultural Artifacts Drawings by Seexeng Lee - 14 sketch drawings teach about important Hmong tools, musical instruments and other seminal artifacts of traditional Hmong culture. Hmong Culture and Art Permanent Collection - Exhibits display Hmong clothing, embroidery, tools, jewelry, musical instruments and other cultural artifacts. Hmong Embroidery Room - View several different styles and motifs associated with Hmong embroidery in a room featuring a variety of embroidered artworks. 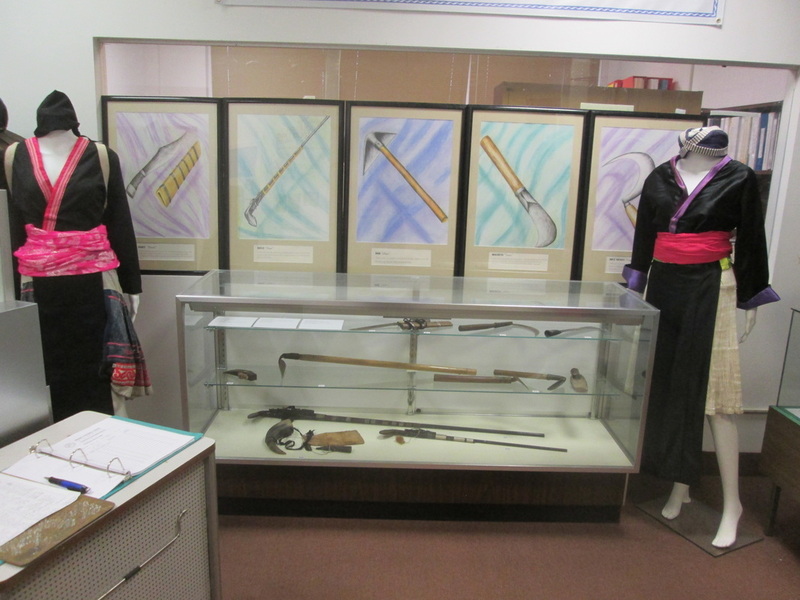 Museology Museum Services has been a multi-year partner in the development of the exhibits in the Hmong Cultural Center Museum.